Now, you don't have to be a football fanatic or follower of "true kvlt" Norwegian black metal to paint your face. If you like what you see, you can record it in video and share it with others. And, if you don't like the look, you can use the erase function (or just look away from the phone) without having to ruin another nice hand towel. The app also enables users to go beyond virtual face painting. A mesh mode displays the raw 3D mesh of the user's face, and another mode allows you to paste photos on your face to add creative textures, or copy other faces to pull off 3D face swaps. 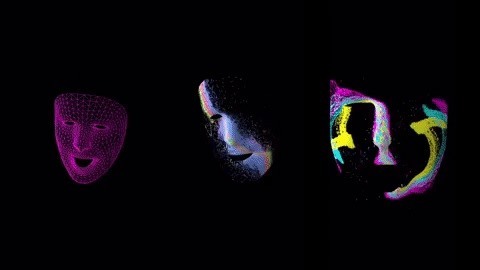 Another special effect molds multi-colored particles to your face which pulse with music. We've seen numerous experiments from developers using the TrueDepth camera, but actual apps have been fewer in quantity. 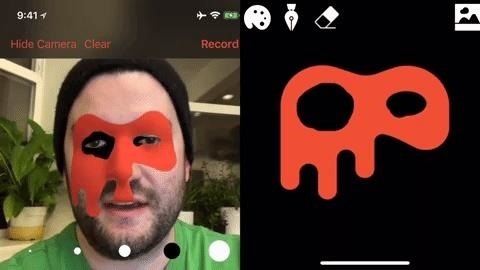 Considering the popularity of camera effects from Snapchat and Facebook, the technology seems like low-hanging fruit just waiting for even more developers to capitalize on the public's propensity to make themselves look silly.